“We have it on radar, Sir,” another crewmember said. “Turn into the sea,” McClay ordered. “Get ready for maximum power on my order.” The pilot nodded. This manoeuvre had been practiced many times. McClay stared out over the bow. The incoming tsunami heading directly towards them appeared as dirty brown wall. “Full power, Clive,” he ordered. 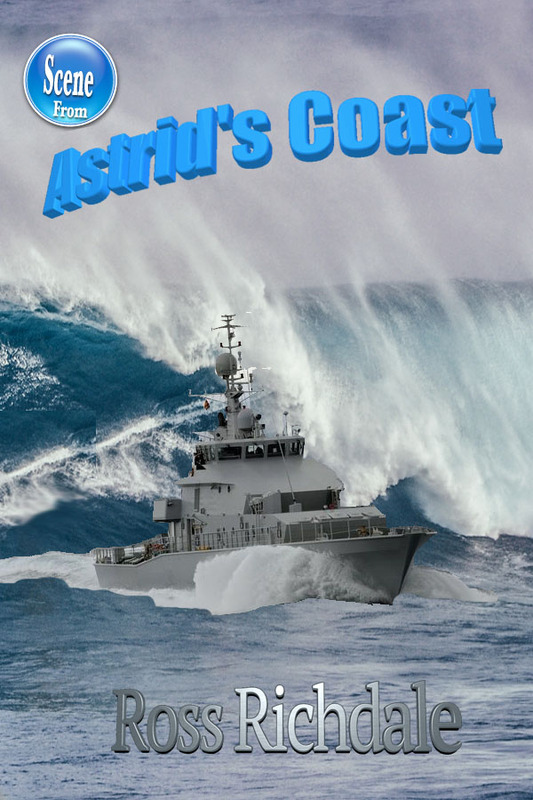 The ebook, Astrid’s Coast is available with our publisher now.